The Missing Photograph From Newtown, CT. The tragedy that betook Newton, Ct. this past Friday leaves one searching for words, but there has been no shortage of photographs. My initial impulse is to see that as one more piece of evidence to support the general claim that we make here at NCN that photography is a technology that provides access to a world of affect and understanding that is not easily or efficiently represented by words—or by words alone. But careful review of the archive of images being published gives some pause for concern, as many (if not most) of the photographs we are seeing have an increasingly generic quality to them that makes them seem rather like visual commonplaces. As Michael Shaw and Alan Chin noted at the Bag, clichés emerge when something is repeated over and again to the point that the thing represented is something of a taken-for-granted assumption that loses the power of presence it once animated. Look at the full archive of images from Newton, CT. without captions or historical context and it would be easy enough to imagine that we are looking at a scene in Columbine or Blacksburg or Aurora or Oak Creek, and the list goes on. In some measure the visual record has fallen prey to the success of its production and circulation, a mode of artistry that has succumbed to its own conventionality. In a sense, just as we find ourselves searching for the right words we are left searching for photographs that invite us to understand and empathize without reducing everything to a cardboard cliché. But even as I write that last sentence I must give pause once again, for there is at least one image from Newtown that invites reflection and consideration. 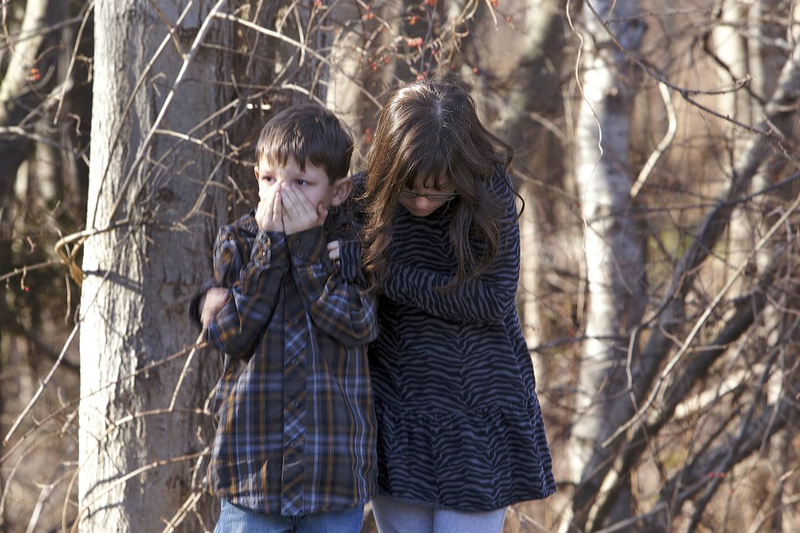 It is a photograph of a young boy and girl standing together in a wooded area presumably looking towards the Sandy Hook Elementary School. The boy’s hands cover his mouth and nose, but not his eyes, which seem transfixed on the chaos and carnage that is before him. He is clearly horrified, but he cannot look away. The young girl has her arms around the boy, making human contact that no doubt comforts both of them, but she intentionally looks away from the scene before her, fixing her eyes on the ground at her feet. And therein lies the conundrum of the regular and oft repeated mass killings we have been experiencing in recent times—we either gaze in horror or we look away. But in either case we fail to act. Like these children we huddle together in search of collective comfort, passively quiescent in the presence of a spectacle that leaves us more or less speechless and incapable of seeing what is clearly before our eyes. And so that brings me to the question posed by the title for this post: The missing photograph. As I read the newspapers this morning and listened to the talk shows I was dismayed to hear everyone focusing their primary attention on what motivated the actions of the gunmen. Did he have Asperger’s Syndrome or had he been mistreated as a child? Can we do more as a society to diagnose and treat mental health issues? And so on. These are important questions, to be sure, and there is no doubt that we need to be much better at promoting mental health. But they are also secondary questions that completely miss the point of what happened in Newtown, CT. Whatever motivated the gunmen, it is impossible to imagine that he could have been nearly as destructive as he was if he did not have access to automatic weapons. It is really as simple as that. The photograph that is missing from the archive of images of this tragedy is the photograph of the automatic weapons that were used to extinguish twenty six innocent lives. Until we see that photograph, and I mean really see it as the material cause for what is happening, we will be caught perpetually in the embrace of looking in horror without speaking or looking away. 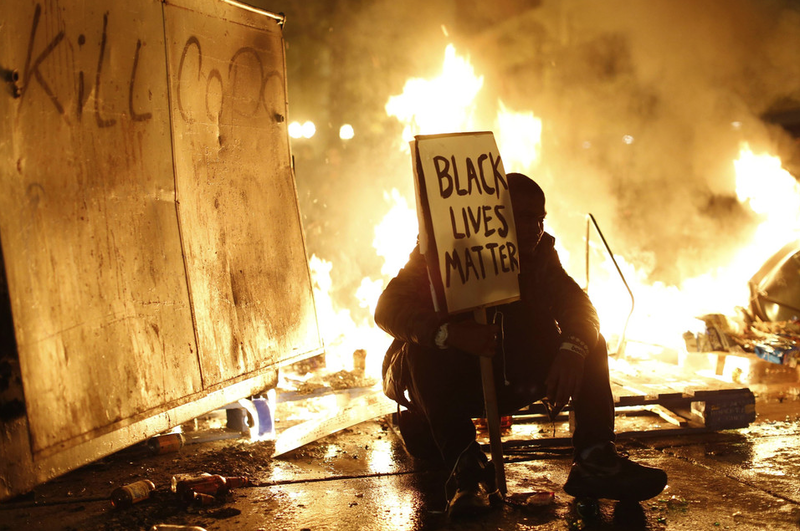 And soon enough the same clichéd images will reappear, and once again we will wonder why. So what do you see in this photograph? Look closely and carefully. The tree is knotted and gnarled, its branches reaching out like so many arms, going this way and that, almost as if it were a human being thrashing about in a hostile world. At first blush it reminded me of the tree in The Wizard of Oz that throws its apples at Dorothy and her troupe. Then again, it looked like might be from a more recent movie, perhaps one of the episodes of The Lord of the Rings or maybe even the fantasy world of Harry Potter. But whatever you think you might see, look closely and ask yourself: What is missing? The photograph was once the scene of a brutal lynching. Lynchings are a part of American history, and as James Allen helped us to understand a few year back with his Without Sanctuary project, they were not simply events that took place in the dead of night and away from the public eye. Indeed, lynchings were often carefully planned activities—spectacles really—with the trains adjusting their schedules so that church goers could attend the “festivities” and numerous photographs taken to mark the occasion, many of the later converted into postcards to be sent to friends and family. Lynchings of this sort no longer take place in the U.S. and so it is all too easy to locate such events in a distant past, a time we might imagine as long, long ago. 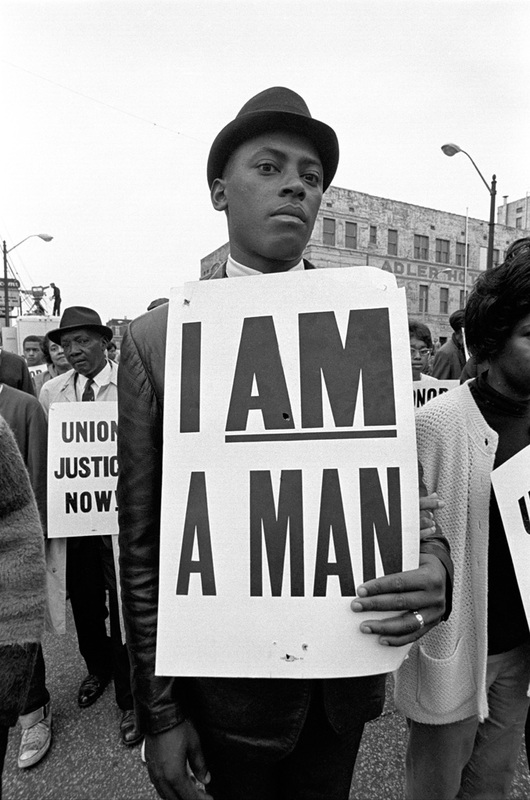 And perhaps that is so inasmuch as such lynchings have been exceedingly rare since the early 1950s. But the problem with such consignment to a once malignant but now benign past is that it invites us to ignore the depths and ignominy of such behaviors. Most, no doubt, think of lynching as an activity used by southern whites to discipline blacks in the reconstruction and Jim Crow eras. That it was, but we should not forget that such lynchings also occurred in many places north of the Mason-Dixon line (one of the most famous took place close to where I write from in Marion, Indiana) and as Ken Gonzales-Day, has recently demonstrated, several hundreds of Latinos, Native Americans, and Asians suffered a similar fate in California between 1850 and 1932. And so, back to the photograph above. 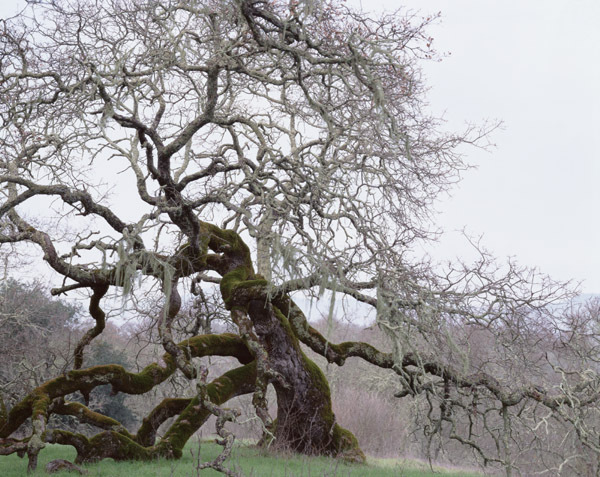 It is one in a series of photographs taken by Gonzales-Day called Searching for California’s Hang Trees and is part of his attempt to witness an aspect of our national past that it has been all too easy to erase from our public and collective memory (see also his Erased Lynching series)—both geographically and otherwise. The “strange fruit” that Billie Holiday sung about is nowhere to be found in these photographs, but that would seem to be the point. The tree could really be anywhere: north, south, east or west. And those tortured while hanging from its branches could have been men, women and children of many different ethnicities and colors. It is not a part of our past of which we can be proud, but it is a part of our past and it needs to be remembered. And visualized. So, once again, what do you see when you look at the photograph? Among the most tragic costs of war are surely the suicides of veterans who appear to have returned home safely from the battle front, often without any visible injuries, only to be haunted by ghosts that make life unlivable. We have commented on the problem in the past, but the magnitude of the problem was underscored yesterday by Nicholas Kristoff who noted that “[for] every soldier killed on the battlefield this year, about 25 veterans are dying of their own hands.” You have to linger over that last sentence to let it sink in. The sheer numbers are simply stunning: one veteran suicide every 80 minutes, more than 6,500 per year or 24.1 per 100,000 (a ratio that is larger by more than a multiple of two for the general population which hovers around 11 per 100,000). As Kristoff reminds us, the annual rate of veteran suicides is larger than the total number of U.S. military killed in the Iraq and Afghanistan wars combined. The tragedy, of course, is not just the loss of life, though that is tragic enough, but that so much of such loss could be avoided with therapy that is simply not available or forthcoming. But even demands for access to more and adequate medical and psychological treatment, as true as they are, miss an important point: the problem is in large measure a function of its in/visibility. To mark a problem as in/visible is to notice the sense in which a phenomenon is simultaneously (and paradoxically) visible and invisible, available to sight but unseeable. Sometimes it is a function of how the extraordinary is normalized, and sometimes it is a function of how the conventions of vision—of seeing and being seen—direct (or misdirect) our attention. The Ashley Gilbertson photograph that accompanied Kristoff’s editorial is much to the point. 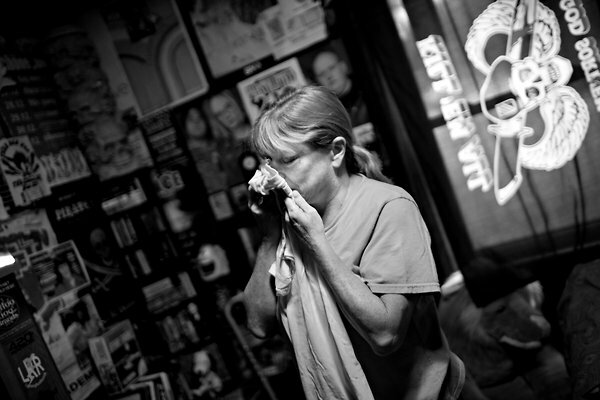 The image is of a mother who lost a son to suicide, though it is not officially recognized as such by Veteran services, who treat the death as an accidental drug overdose. That they could not see—or chose not to see—the death as a suicide is unclear. What is clear is the mother’s grief as she struggles to maintain physical contact with her absent son by connecting with his things, including his shirt which retains his scent. Her grief is tangible, made all the more so by the stark contrast of black and white tones of the image and the oblique angle that simultaneously marks the viewer as a spectator even as it pulls him/her into the scene, and it is impossible not to empathize with this mother’s pain. But of course, there is nothing in the photograph that distinguishes her pain from that of any other mother who has lost a child to war, whether from a sniper’s bullet or an IED. And yet her grief and agony are different, which is not to say that it is more or less than that of others; but that difference, however intuitive, however palpable, however visible, cannot be seen. And therein lies the problem. Veteran suicides are not something that we don’t know about. The numbers have been reported in the past. And individual cases have been remarked upon from time to time. And yet the problem itself lingers in a nether world of the in/visible, a region of consciousness that makes it difficult to recognize it as a cost of war that requires not just our empathy, but our active attention. Much of what we experience as war photography focuses attention on the manner in which war is fought. And whether the photographs we see shows soldiers conducting military campaigns, interacting with local children in occupied territories, experiencing the boredom of war that punctuates the time between skirmishes, suffering from wounds both physical and psychological, or returning home to the hugs and relief of friends and families—or worse, in flag drapped coffins, the focus is always on what we might call “the conduct of war.” And because wars are typically fought in the name of collectivities the role of the individual is played down—not erased entirely, but nevertheless minimized, as such photographs underscore the archetypal quality of the scenes displayed. Individuals tend to stand in for something larger than themselves. And yet for all of that, one of the genres of war photography continues to be the individual portrait. The most common portraits of soldiers tend to be taken prior to battle and usually feature the soldier in full uniform. This is of course a practice that is as old as the Civil War. And whether taken by the military itself or by friends and family members, such portraits veil the identity of the individual beneath the uniform and mark the soldier first and foremost as a representative of the nation-state. In recent years a number of photographers have begun to challenge such work and in a ways designed to remind us of the individuals doing the fighting (here and here). Among such work is the photography of Suzanne Opton. 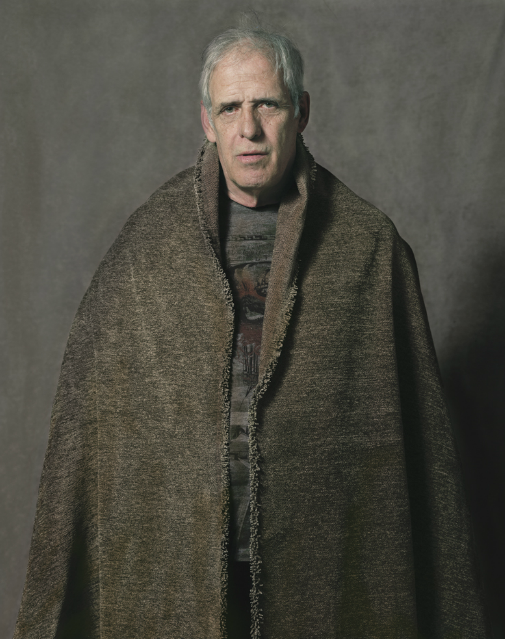 In a series of projects beginning as early as 2003 Suzanne Opton has been photographing individual soldiers, emphasizing the artistic conventions of portraiture designed to help us engage and understand the individual qua individual. And with stunning results. Taken “at home,” rather than on the war front, the soldiers she photographs are all out of uniform. And thus there is a sense in which their status as “citizen” is accented, rather than their status as “warrior.” And yet at the same time they are unmistakably marked by their experiences as warriors. In one set of images, titled “Many Wars” she photographs veterans in treatment for combat trauma, but what marks the series is that they cut across every American war from World War II to the present. As with the photograph above, they are shrouded in cloth, and generally distinguished by age, though only somewhat incidentally by the particular wars in which they fought. And the point seems to be that we need to see them as one, even as they are portrayed as individuals—a paradox that underscores the in/visibility of war as it crosses generations (and more). 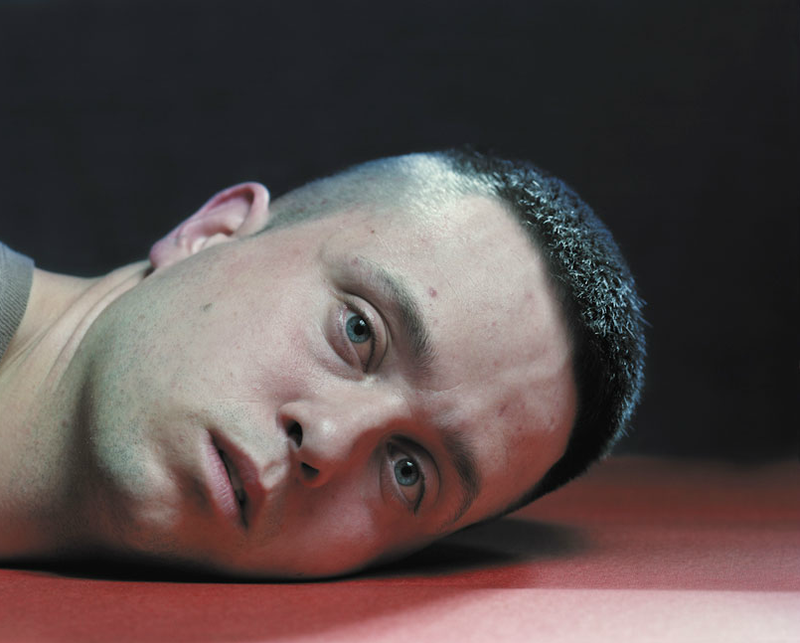 In one of her most recent works, titled “Soldiers” she photographs veterans returning from Iraq, by asking them to lie on the ground with their faces at rest, almost as if they were preparing to go to sleep. The pose not only resists the typical conventions of portraiture (showing the individual sitting or standing up straight, shoulders back, emphasizing their strength and agency) but locates them in that liminal state between full and active consciousness and the dream world of sleep. The pose surely operates as a visual metaphor for the condition of such individuals. There is also a gesture here to the “two thousand yard stare” that recurs as a convention of war photography, made all the more haunting by the fact that these individuals are out of uniform and thus that much closer to us as citizens on the home front. 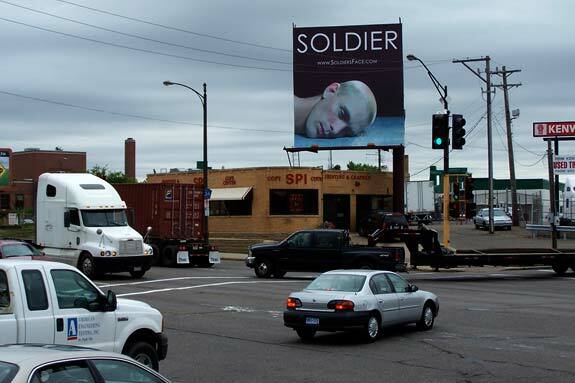 These photographs were part of a provocative and controversial “Billboard” campaign which, in their own way, demonstrate the sense in which the soldier has become more or less in/visible. 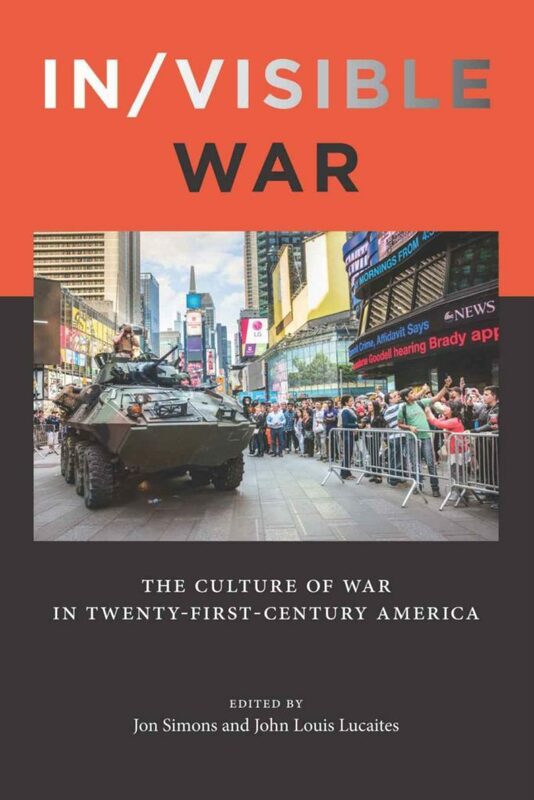 Whatever one makes of Opton’s work, it is clear that she is challenging us to think about the conventional representations of war and the warrior-citizen, and more, the implications for how we experience and engage such representations as we go about our daily lives. Suzanne Opton will be lecturing on the Indiana University campus in Bloomington, IN on Monday, October 3, 2010. The title of her presentation is “Many Wars: The Difficulty of Home” and it will take place in Fine Arts 015 from 7:00-8:30. If you are in the neighborhood I encourage you to attend. Note: My colleague Jon Simons and I are co-hosting the 2011-2012 Remak New Knowledge Seminar on “The In/Visiblity of America’s 21st Century Wars.” As part of the seminar we will be bringing eight speakes to campus including Michael Shapiro, Roger Stahl, Diane Rubenstein, Nina Berman, David Campbell, Wendy Kozol, and James Der Derian. Suzanne Opton is the first speaker in the series. In April 2012 we will be hosting a conference on the same theme that will include presentations by Robert Hariman and Michael Shaw. As a nation we have slowly and reluctantly acknowledged the all consuming effects—or should we say costs?—of PTSD and the epidemic of suicide among returning veterans from Iraq and Afghanistan. But what we have a harder time recognizing are the ways in which those who fail to show the discernible symptoms of traumatic disorders nonetheless undergo a telling psychic transformation in the process. It may not be quite accurate to say that their lives are erased, but then again that might not be entirely off the mark either, as they no doubt come to face the world in ways, however understated, that bear little or no resonance with who they were before their experience as warriors. Claire Felicie, a Dutch photographer, has tackled the problem in a project called “Here are the Young Men.” Felice, the mother of a Dutch marine, photographed the members of the 1st Battalion, 13th Infantry Company of the Dutch Marine Corp five months before, three months into, and several months after their return from their deployment to Uruzgan, Afghanistan. Shot as tight close-ups of their faces in black and white and displayed as triptychs that mark time from left to right, the photographs invite the viewer to witness the subtle and yet often unnoticed changes in how these men come to “face” the world. The photographs above are of twenty-one year old Arnold. At first glance it is difficult to identify any discernibly significant differences in the three portraits (which in a different context might be understood as mug shots), anyone of which might easily substitute for the others. But on close inspection it is not clear that we are looking at the same young man at all. The most noticeable features in each photograph are the mouth and the eyes. The photograph on the left displays a modicum of playful innocence. Note in particular the curl of his lips, slightly up on one side and down on the other, as if he is trying to look tough by avoiding the smile that lurks within. His cheeks have a youthful pudginess to them that ever so subtly direct attention to his eyes as they invite interaction with the viewer. It is a face that has yet to experience the world in any profound way. In the middle photograph it is the eyes that dominate. Wide open, they seem to look past the viewer, not quite a thousand yard stare, but not far from it either. Note too the furrow in his brow that makes the rest of the face appear somewhat artificial, almost as if it were a mask that doesn’t quite fit the face it is attached to. And more, his cheeks are tight and gaunt, belying the youthful countenance of the first photograph, but more, suggesting a degree of caution, unsure of the world about him. The final photograph is shot in a softer light that would ordinarily mitigate the aging process, but here it accents a face that appears to have aged too quickly. The set of the eyes is similar to the first picture, but rather than to invite interaction they intimate something more like cynicism. They don’t look past the viewer, as with the middle portrait, but neither do they signal anything like friendliness or trust. Not beady, as in the middle photograph, they nevertheless have an edge to them that invokes a steely coldness. The mouth underscores the affect, as it betrays no sense of being posed. The innocence of the first image is completely elided. Taken as of a piece, the three portraits mark the subtle, psychic metamorphosis of a young man who has encountered the experience of war. The life he once lived has been inexorably erased, replaced by one that few of us who have not had the experience can ever know. Whether you find my reading of this triptych compelling or not, there is a different and more important point to be made, albeit one that is regularly ignored: the costs of war come in many forms, and too often some of the most profound costs are also the most difficult ones to see … unless we look very closely. We have Claire Felicie to thank for calling our attention to this insight.